Brush with a few Tablespoons of Red Palm Oil. 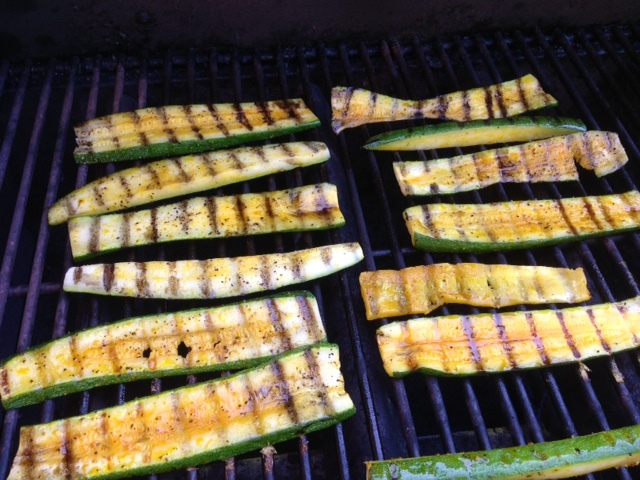 Grill over medium heat, turning once. 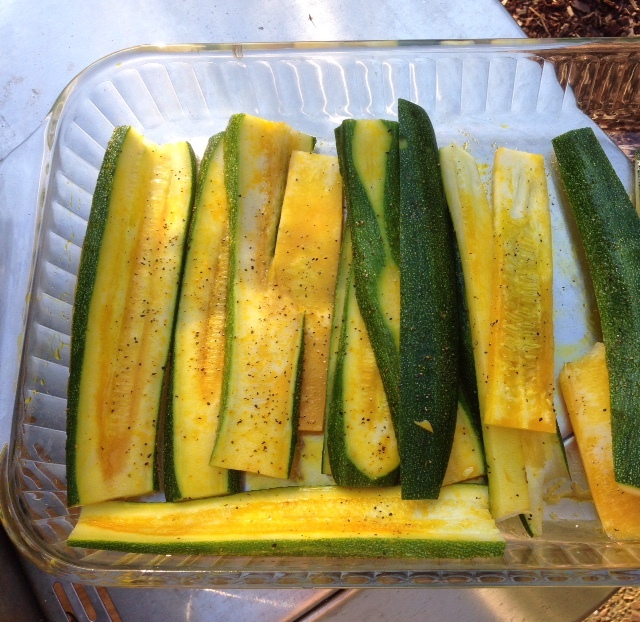 Approximately 8-10 minutes. 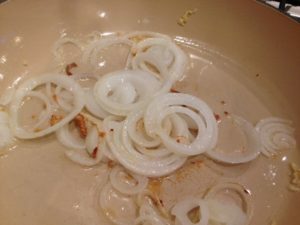 Add 1 sliced onion to the skillet. 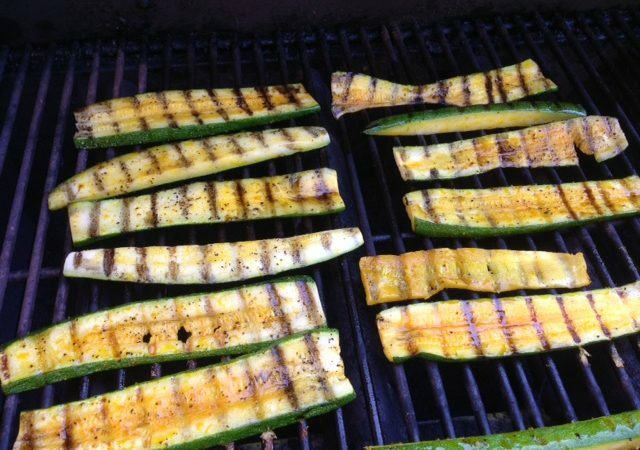 Remove zucchini from the grill and add burger patties to the grill. 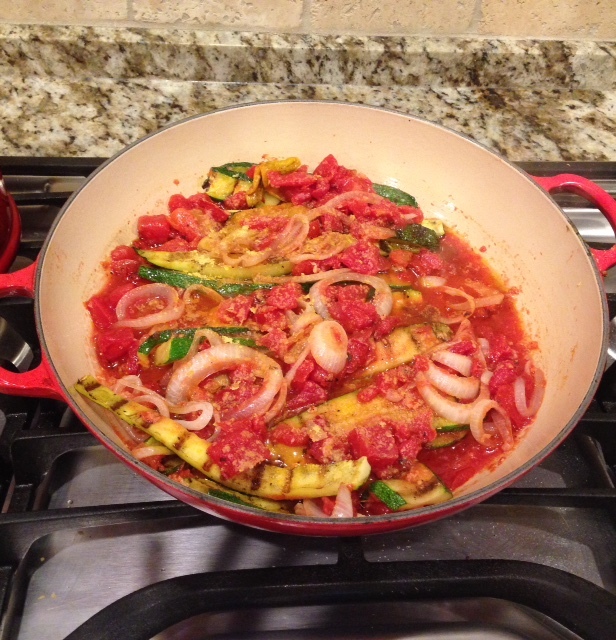 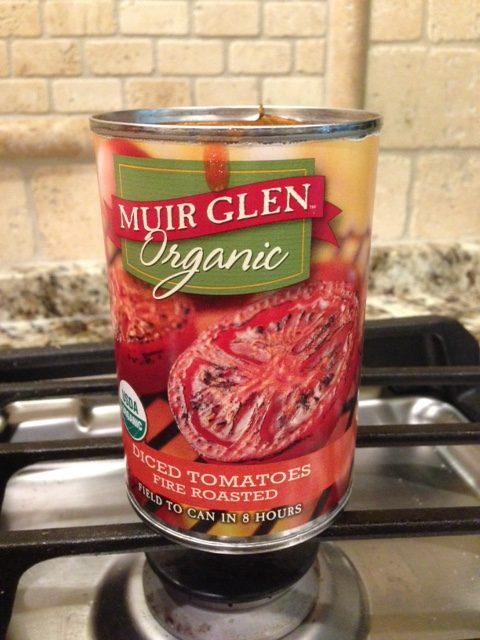 Add grilled zucchini to the fire roasted tomato mixture and heat through. 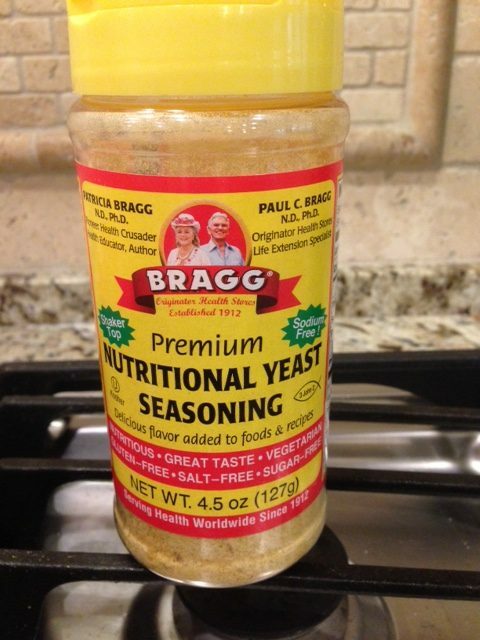 Top with a generous sprinkle of Bragg’s Nutritional Yeast. 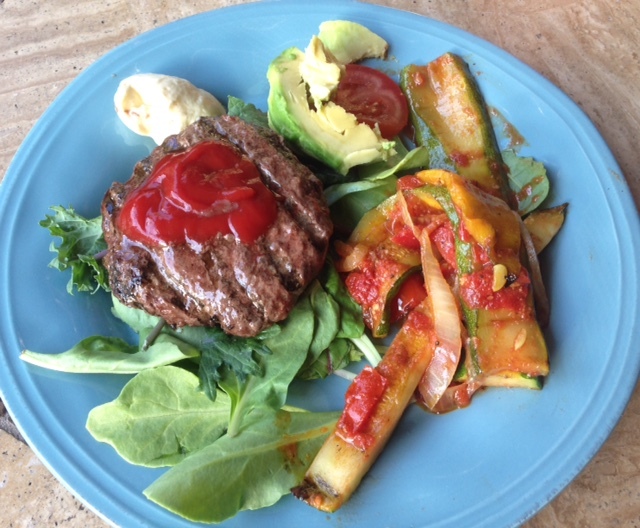 I served the burger on greens with organic ketchup, tomato, avocado mayonnaise and avocado.